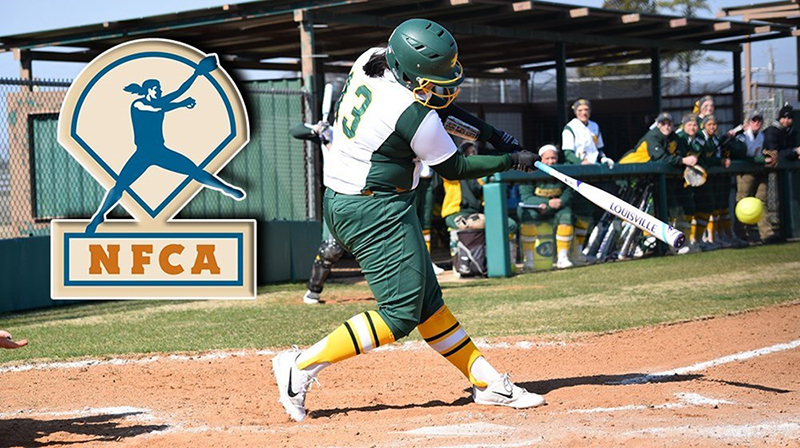 Louisville, Ky. – Missouri Southern freshman Erika Lutgen added another weekly honor today from the National Fast Pitch Coaches Association for her performance at the University of Arkansas at Monticello Eight State Classic last weekend. Highlighted by conference and school-record performances, Lutgen finished her weekend at the Arkansas-Monticello 8 State Classic with a .526 batting average, 14 RBI, four home runs, a 1.158 slugging percentage and a .571 on-base percentage. Additionally, the first baseman was flawless in the field, playing errorless softball in 48 attempts. In Lutgen’s third game of the weekend, she accounted for 10 of the Lions’ 11 runs by launching a program-record three home runs and recording a Mid-American Intercollegiate Athletic Association (MIAA)-record 10 RBI against Illinois-Springfield. The MIAA Hitter of the Week also went 2-for-4 with an RBI in a upset win over then-No. 5 Southern Arkansas. The Lions will take this week off as they prepare to host the Teri Mathis-Zenner Memorial Tournament March 4-5 at the Joplin Athletic Complex.